This is a super fast loading theme for every blogging blog. Tower View Blogger's minimal design makes it more interesting to your blog. All our theme are responsive and SEO Optimized. Therefore, the fresh view is also a sensitive professional. 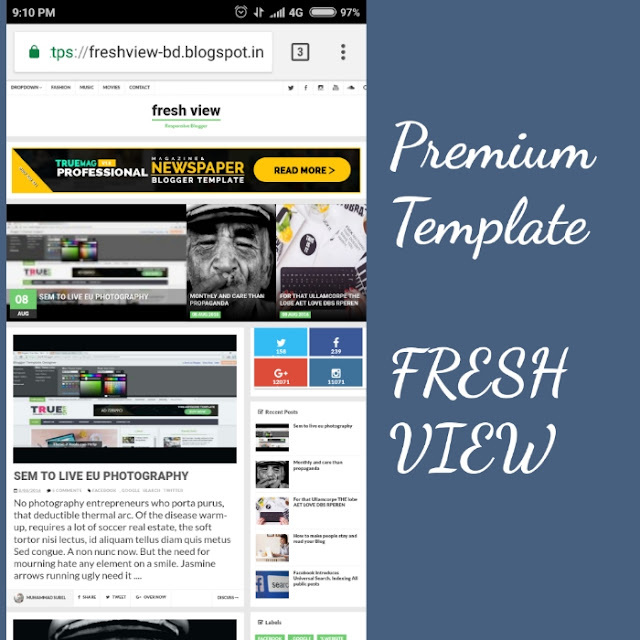 Fresh scene blog style is free blogger themes. Please note- This template are Premium Version.And i was shares this awesome theme are FREE.Hurry download now.